A few days ago Buzz Off ran a news item on Zika virus and the warnings given by the WHO about it. The virus is thought to cause microcephaly and brain damage in babies, (as illustrated) Since that article new news has come to light that needs to be communicated. A patient infected in Dallas, Texas, is likely to have been infected by sexual contact, the Centers for Disease Control (CDC) told the BBC. The person had not travelled to infected areas but their partner had returned from Venezuela. 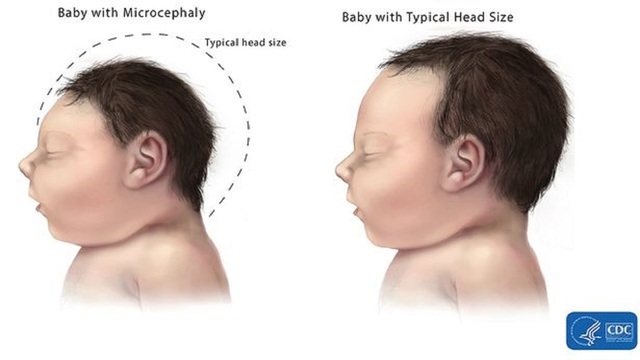 Zika is carried by mosquitoes and has been linked to thousands of babies being born with underdeveloped brains. It is spreading through the Americas and the World Health Organization has declared the virus a global public health emergency. We do not say this to alarm you but the facts need to be out there. People travelling to the overseas should check travel websites such as SmartTraveller or the US government travel website to see if they are travelling in areas where Zika virus infections are prevalent before they travel. In any case do battle with mosquitoes in your area; they not only carry Zika virus but a host other harmful and fatal diseases. The WHO page on symptoms and treatment of Zika virus can be found here an information document can be downloaded from our site.